04 The Shadow Of Your Smile SAMMY DAVIS JR.
10 The Impossible Dream SAMMY DAVIS JR.
12 I Don't Care If The Sun Don't Shine DEAN MARTIN & ORCH. ACCOMPAN. 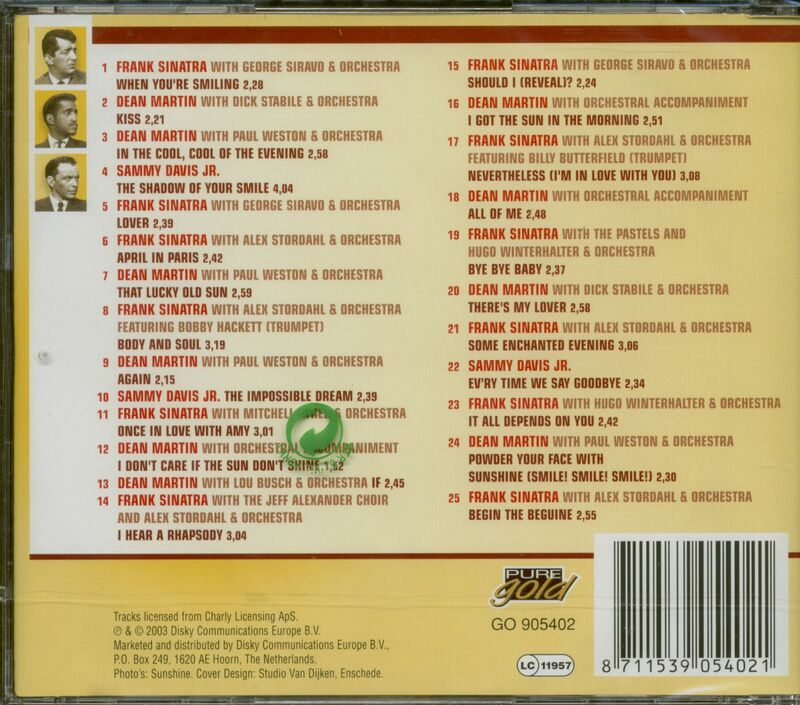 14 I Hear A Rhapsody FRANK SINATRA & J.ALEXANDER C.
16 I Got The Sun In The Morning DEAN MARTIN & ORCH. ACCOMPAN. 18 All Of Me DEAN MARTIN & ORCH. ACCOMPAN. 22 Ev'ry Time We Say Goodbye SAMMY DAVIS JR.
23 It All Depends On You FRANK SINATRA & H. WINTERHALT. 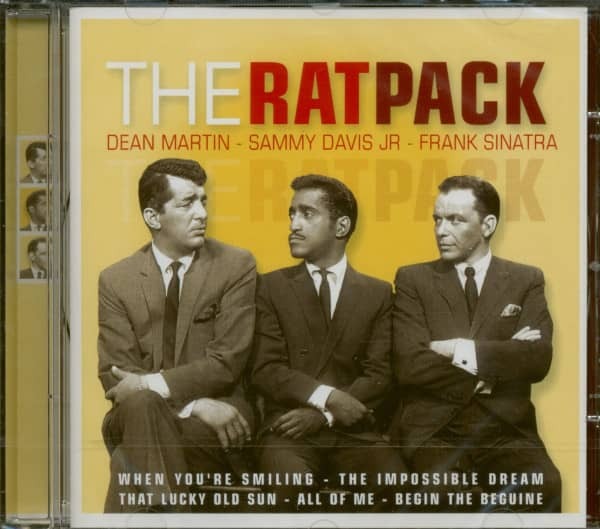 Customer evaluation for "The Rat Pack"